FPV flying has been the big breakthrough and game changer in unmanned aircraft technology. FPV ground station equipment along with FPV transmitters and cameras has opened up a whole new world of aerial photography and cinematography to us. This FPV flying technology allows for a video camera to be mounted on an unmanned aircraft which then transmits live video to the ground pilot. The ground pilot is flying the drone as if they are on-board. This is accomplished by tiny video cameras and wireless RF links. In this article along with informative videos, we highlight the technology and equipment such as FPV ground stations, goggles, transmitters and cameras. We show you how to setup FPV on a Phantom drone and the last video shows you FPV goggles in action which give a very unique perspective while flying. If you are interested in viewing the latest FPV products, please visit our FPV equipment section. Before FPV, the drone pilot had to fly the remote control aircraft using their ground vision. This is fine in an open park where you can see the RC aircraft easily. FPV enables drones to fly much higher and further than every before. I have seen drones flying up to 1 km and 10 km in distance. Flying with FPV allows for better and more exact flying in the most difficult of terrains such as forests, mountains and inside buildings. Without FPV flying technology, this new world of aerial photography and cinematography would not exist. We definitely would never get to the level of professional aerial photography which we are now seeing. Today unmanned aircraft are being used in aerial inspections of building sites, farms, pipelines, electrical towers, search and rescue missions as well as in advertising and promotion. Every week, new uses for drones are being announced. On the lower end of modern quadcopters and multirotors, most of the camera setups only serve a single function and that is to record video or stills. You never get to see what the unmanned aircraft sees until it lands and you download the digital files from the memory card. However, with more competition in the UAV sector, FPV technology is being added on more models even at the lower end. Here are some of the latest drone models where the FPV Flying technology comes as part of the package. Walkera – Voyager 4, Voyager 3, Tali H500, QR X350, Scout X4, Furious 320 racing drone. 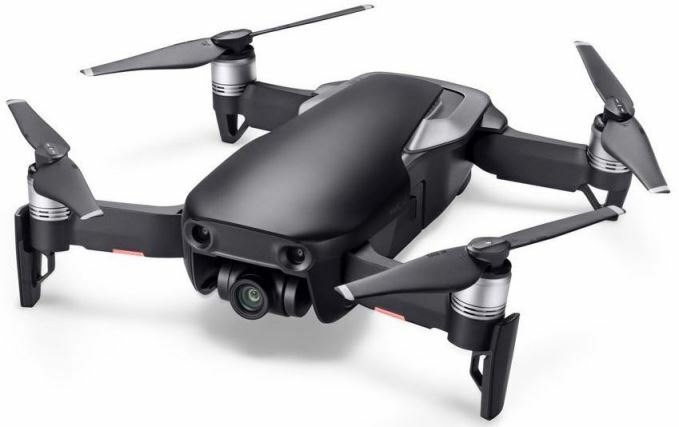 All the latest DJI quadcopters have inbuilt Lightbridge WiFi transmission or similar technology which give you HD FPV control up to a range of over 4 miles (7 km) which is pretty impressive. For some drone models you need to buy FPV equipment separately. The easiest way to do this is to buy an FPV kit. 3DR – For the Iris+ and X8 drone models, you would need the BrightViewTM FPV Kit. DJI – For most DJI models you would need the FPV AVL58 5.8 GHz 500mw Video Downlink Wireless Transmitter. This covers models of the Phantom 1 & 2, Phantom 2 Vision and all the Spreading Wings Models. Walkera – FPV Ilook Camera Built-in Video Transmitter, FPV Goggle 3, Goggle 4 or Fatshark Goggles. For the DJI Spreading Wings models you also have the Lightbridge 2.5g Full HD Digital Video Downlink option. There is no doubt that drones would never become so popular without FPV technology. Watch these short FPV videos of beautiful scenery. Absolutely stunning views. Here an absolutely stunning FPV drone video of the old Rocky Mountain Railroad. FPV flying can be rather technical because in most cases it actually requires 2 ground station controllers. The first ground station transmitter / receiver is the FPV to send the live view from the drone camera to the pilot on the ground. The second ground station controls a separate camera on the drone or quadcopter which allows for video recording or taking aerial photographs. Not all models are like this. For example, the Parrot AR Drone front facing camera serves a dual purpose – it shows you, on your tablet or phone, what the drone sees and it has the ability to record it to a file for later viewing. Same with the Walkera QR W100s. The Parrot AR wouldn’t be a great model for a professional aerial photography business. 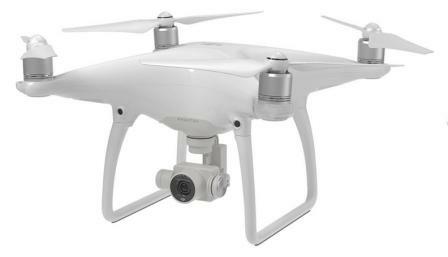 You need to be looking at DJI Phantom range or the high end DJI Inspire 1. Some very expensive high end drones with FPV along with quality cameras and gimbals are the DraganFlyer X4-Es and the Service-Drone G4 7.8 SkyCrane Multirotor. You can read about this professional drones with FPV in our latest top drones article. It is also possible to hover and take photos or fly the drone at a slow enough pace to work both FPV and camera. If you were to own a drone photography or cinematography business, you would probably have a 2 person setup to really get accurate and top quality aerial photos. 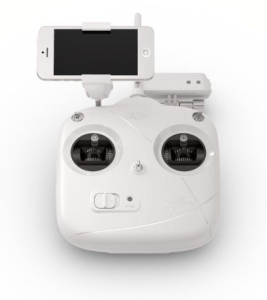 Here a quick video which shows you how to setup FPV on a DJI Phantom 2 drone. This is where the aviator receives the live video from the FPV camera on the drone and pilots the drone. This should have glare protection. A smartphone, tablet and laptop can easily work to receive live video. This is how many of the latest drones operate. Below is a few examples of specialized FPV monitors. Many FPV setups use goggles which display what the drone sees in the lenses. These latest FPV goggles are certainly impressive as you are immersed right into what the drone is seeing. Here is a couple of examples of the most popular FPV Goggles. If you would like to understand the technology behind first person view video transmission on drones, then read this terrific article entitled “Understanding FPV Live Video, Antenna Gain And Range“. Each country and in particular the US, have a number of rules and regulations regarding unmanned aircraft flight with FPV technology. The ability of FPV aircraft to fly far beyond the visual range of the pilot and at significant altitudes has raised safety concerns regarding risks of collisions with manned aircraft or danger to persons and property on the ground. Many aviation authorities across the globe have created regulations to restrict or prohibit FPV flying. Here is the link to the FPV rules and regulations for the USA. Federal Aviation Administration – FAA Rules And Regulations. For countries outside of the USA, please check for your countries rules and regulations concerning UAV flying. FPV is terrific technology. Owning a quadcopter or multirotor with FPV, a top quality gimbal and camera will open up many opportunities for an outdoor life of creativity and more importantly having some fun. To finish off this post, I have 2 YouTube videos which show you FPV flying and technology in action. Excellent review of the new DJI Mavic 2 Pro and Mavic 2 Zoom drones including videos. The Mavic 2 Pro and Mavic 2 Zoom are more advanced than the original Mavic is every aspect. Small, light and easy to carry. Amazing new features including obstacle detection with collision avoidance. Fly using hand movements. Face recognition technology and a great camera. This is the best mini drone on the market by a mile. It has so much new innovation which makes is so very easy to fly and film with. The Mavic Pro produces stunning aerial photos and video. It is fast, super smooth, great fun to fly and is loved by both beginners and seasoned professional pilots. It can be used for professional aerial photography, filming, site surveying, 3D imaging of landscapes and sculptures. The Phantom 4 flies superbly and the quality of aerial film is absolutely outstanding. If you are serious about your aerial photography and filming, the Phantom 4 will produce real quality. Below are just a few of the features of this fantastic Phantom 4 Pro.